It’s 9pm on a Friday. 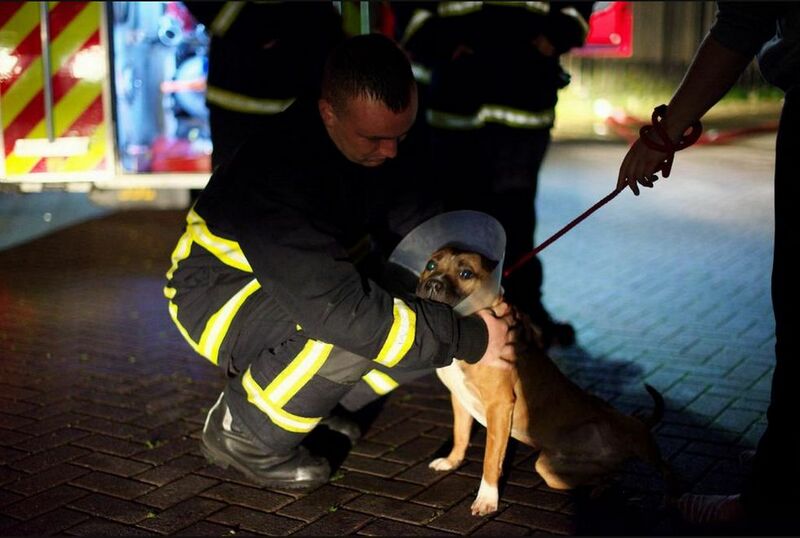 Around 24 hours ago, a fire started in Manchester Dogs Home, a century-old institution in the city. No surprises, then, that it drew a lot of attention, very quickly. The Manchester Evening News, as is normal for any newsroom worth its digital salt, launched a live blog to keep people up to date with what was going on. It soon became clear this was not just any old story. For over three hours, the MEN’s live user count was above 20,000 readers every minute. Then came a moment of digital journalism genius. Prompted by lots of people responding to the MEN’s coverage of the fire on social media by asking what they could do, the MEN launched a Just Giving page and pointed people following their coverage there to donate. That’s right. In less than 24 hours, the Manchester Evening News had encouraged people to donate more than £1million to the Dogs Home. It is impossible for any journalist who has worked in the regional press, and who has worked on fund-raising newspaper campaigns in the past, not be staggered by the result here. The MEN set out to raise £5,000 – and only lifted the target to £1m when it became clear that the donations were going to just keep on coming. I’m blogging about this tonight not to brag – it’s nothing to do with me, although I’m very proud to work with a website which makes great stuff like this happen – but because I believe it demonstrates just what newsrooms everywhere need to become if they are to survive in the digital age. The digital newsroom we’ve been rolling out at Trinity Mirror in recent months has generated a lot of headlines and a lot of questions. Invariably, discussions about it with interested outsiders becomes a discussion about platforms or workflows very quickly. Both are important issues, of course, but they can’t cover the most important issue of all: Knowing the audience. Journalists and newsrooms have only ever had limited information on what their readers really like. Linking newspaper sales spikes to specific content has always been difficult – was it the splash or the pastie offer? – while personal conversations about stories with contacts, readers or the man down the pub can only ever be subjective. Digital changed that at a stroke. Be it real-time information from the likes of Chartbeat or Google Analytics, or aggregated longer-period information from heavyweight tools such as Comscore or Omniture, newsrooms now have to hand volumes of data which can overwhelm but which if used correctly can inform decisions and almost guarantee success. But that data alone isn’t enough. Newsrooms have to foster a culture where snap decisions can be made and chance conversations or ideas put into action within minutes. That is what happened in Manchester last night, coupled with a knowledge of the tools out there with could make an idea happen. Look at the results. Had just 30 people donated, and £300 been raised, the experiment would have been chalked down to experience – the sort of ‘launch fast, fail fast’ form of thinking which, due to the complexities and costs of print, have been much harder to implement in the past. Newsrooms also need to understand the power of social media. Not just in terms of generating stories, or getting clicks to pages (something Facebook is forcing those who didn’t already get it to at least try and understand) but in understanding how to respond to what people are saying on social media. I often hear people saying one of the biggest challenges facing newsrooms is the lack of community binding traditional readership areas. People come, people go, no-one knows their neighbour. And while that may well be a threat to the traditional regional news print model of bundling content relating to a geography together into one paid-for package, it doesn’t mean the sense of community is dead. The newsroom of the future needs to be full of people who spot communities forming on the spot, be it around an event or an issue. 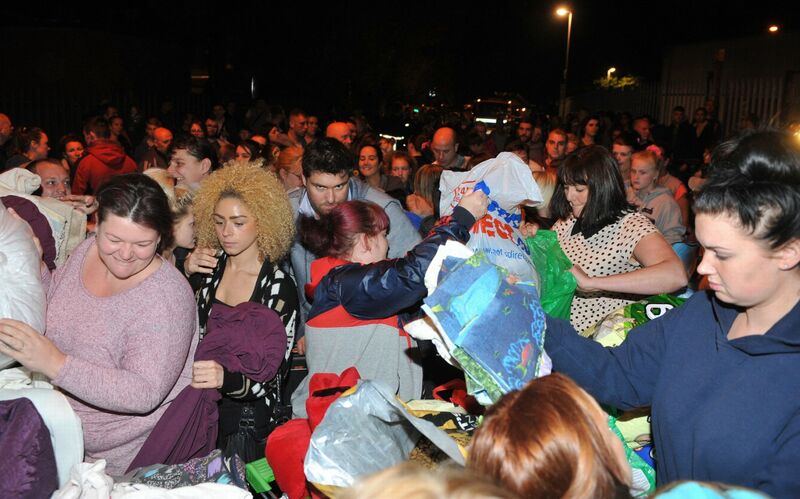 That could be outrage at the closure of a hospital, or it could be the reaction to a fire at a dogs home. As hundreds streamed to the dogs home with blankets and dog food last night, thousands more were saying they wished they could do something. Journalists at the MEN saw that and responded to it. Communities still exist, they just exist differently. And the newsroom which understands that, and responds to it, is the newsroom those in these new-style fleeting communities will turn to again the next time something happens which is relevant to them. Hopefully, they become frequent visitors to boot. Too often, talk about the future of regional journalism centres around different platforms, be it which one to focus on or the dreaded scenario of ‘platform neutral’ content which sits on many platforms but doesn’t really work for any one. Regional journalism’s future involves building on its past – of knowing communities, knowing readers, trying to make a difference – and applying it to a new era where readers expect to have a voice, expect us to have a voice and increasingly reward those newsrooms which try to play a part in readers’ everyday lives. That approach will take regional newsrooms places they never thought possible even a few years ago. In Manchester, that resulted in raising £1million in the last 24 hours. For other newsrooms, it will mean many other things, and indeed is, in places like Newcastle, Cardiff, Liverpool and Teesside. That’s what makes the current era of journalism such an exciting one to be a part of.